The British Foreign Office considered Hosni Mubarak “straight” and “reluctant” during the difficult days after Sadat’s assasination. (By Nino Orto)A BBC documentary, using secret diplomatic cables recently declassified, has revealed new and intriguing details of Mubarak’s political life during his first uncertain and crucial days as President of Egypt. 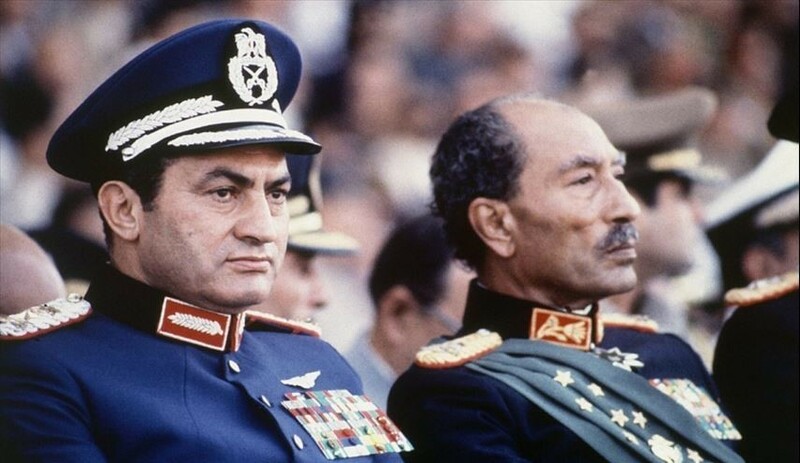 The assassination of President Anwar Sadat on 6 October 1981, inspired profound fear for Egypt’s stability as lacking the charisma of a Nasser or Sadat, Mubarak was regarded as an interim leader with too few political skills to stay in power for any length of time. However, to the surprise of many, he managed to overcome numerous obstacles and threats, consolidate power and remain in office until 2011, when popular fury forced him out. According to the secret cable unveleid by the BBC, the British government “struggled to maintain Mubarak’s position as Vice President of Egypt so that he could succeed to the President Anwar Sadat” in hope he would support the British government to conclude arms deals. According to the documents, the British Foreign Office considered Hosni Mubarak “straight and not corruptible” and “reluctant to take the office” during the difficult days after Sadat’s assasination. The cables also revealed as British Foreign Office intensified its interest in Mubarak after he took office as Vice President on 16 April 1975. Mubarak assumed the Egypt’s Presidency on 14 October 1981, a week after the assassination of Sadat. During Mubarak’s last visit to London as vice president in September 1980, the British authority decided not to exaggerate his visit so as not to provoke Sadat. The British Embassy in Cairo warned of the consequences of paying close attention to his presence, as it was clear it was not in the Mubarak’s interest and prestige. The British ambassador in Egypt of that time, Sir Michael Ware, wrote in a note to the Office: “I will leave you an assessment of the danger in push to much on his visit because the President (Sadat) may understand very wrong about him (Mubarak) even if he is innocent. Mubarak’s influence lies so far in its ability to support the President without appearing in any way a threat to him”. The Prime Minister of the time, Margaret Thatcher, raised the issue of armaments deal based on a report prepared by the British Embassy in Cairo before Mubarak’s eight-day visit. The report suggested which were the “key areas to invest” and how to introduced the topics during Mubarak’s visit. These included “maritime, air defense, tanks, artillery, communications”.